The ‘green economy’ has an increasingly important role to play in the future of many countries, and Ghana is not different. This is why Assist Social Capital and Challenges’ role in providing financial management training for producers on the edge of Bia Bioshpere Reserve in Western Region is imperative. 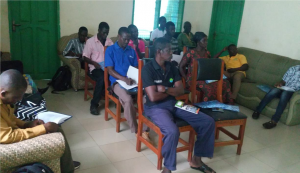 On 27th of March, 2018, Challenges’ Benjamin Res Esanti and Michael ‘Meeki’ Adu facilitated a full morning training on financial management and best business practices to beneficiaries in Kunkumso, Bia. 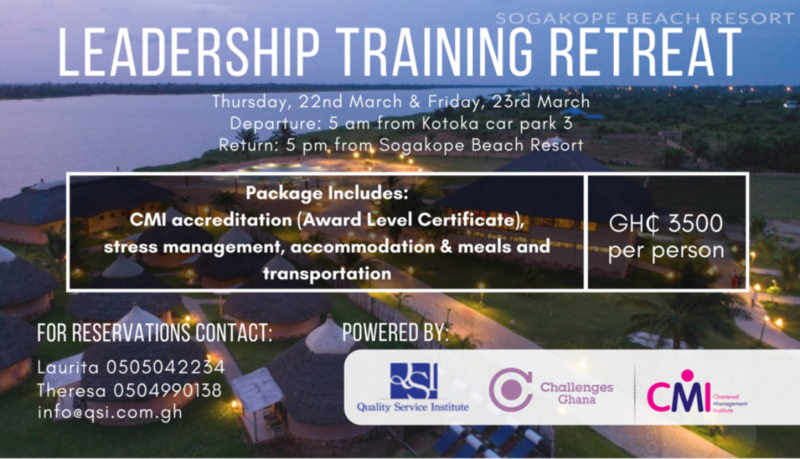 The training was very interactive and engaging and was attended by high profile personalities from the region, including the Queen Mother of Asuopiri – Nana Abena Attaah – and the former District Chief Executive (DCE) of Bia West District – Hon. 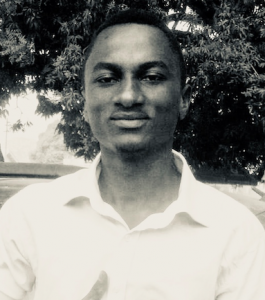 Alexander Ofori. 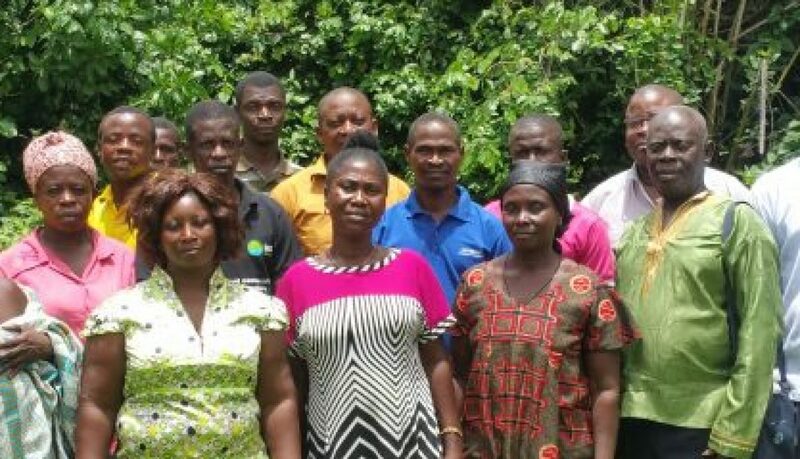 Thank you very much Challenges Ghana and Assist Social Capital for organising this training, we will not only apply this in our Beekeeping business but also in our other endeavours especially our cocoa farming. 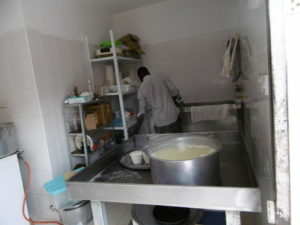 The project connected with beneficiaries of a previous project (Green Economy in Biosphere Reserves) within Bia Biosphere Reserve who produce four products – honey, mushrooms, snails and palm oil. Their production is designed to support economic livelihoods whilst protecting the UNESCO Biosphere Reserve. However, selling to bulk purchasers is difficult as they had not managed to establishe trade linkages or partnership agreements with institutions and individuals to market their products. Through this 3 month project, Assist Social Capital (ASC) and Challenges have successfully connected the beekeepers to Bright Amoah Antwi (CEO of Ecocycle Ghana Limited) and Emmanuel (CEO of Firm Nut Limited), the snail farmers to Bantama market women and Golden Beam Hotel, the mushroom farmers to Mr. Asante Ohene (CEO of Tropical African Mushroom) and palm oil farmers to the market women of Kumasi Central Market. This achievement will not only ensure consistent and constant market for the beneficiaries but also increase the revenue generation of these farmer associations. Not forgetting the opportunity it gives them to expand their businesses by procuring more facilities and adopting modern mechanisms to enhance efficient production.  Business cases for all the four products have been developed. They encapsulate the pros and cons of the business side of all the products. This is excellent as the Associations have a fair idea about what sits for them if they put their house together and approach their endeavours with a purely business mind. 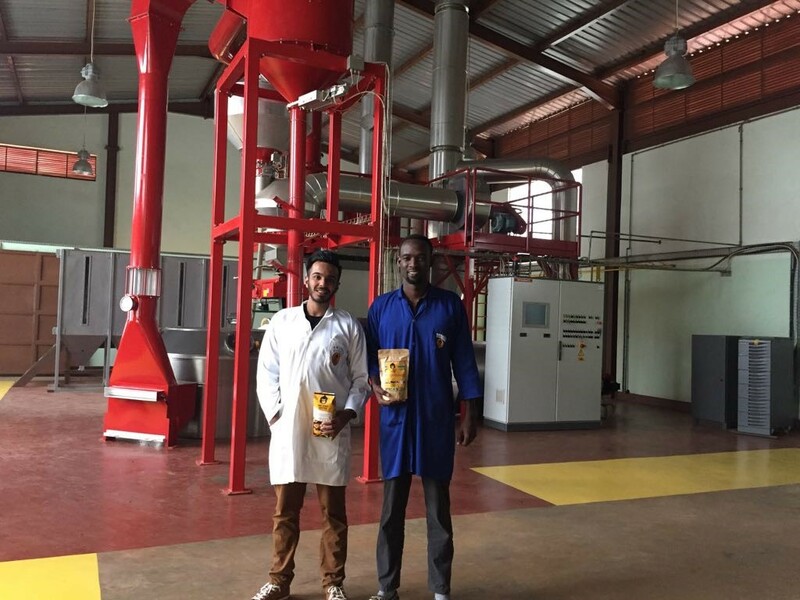 During the training, producers were also connected to OASIIS, an online platform dedicated to connecting social entrepreneurs with social investment, partners, and like-minded businesses, catalysing their contribution to more sustainable global society. Assist Social Capital and Challenges Worldwide have demonstrated their commitment to progress towards the United Nations Sustainable Development Goals (SDGs) in diverse ways by using social capital and business improvement services respectively to deal with complex challenges. Development. What does it mean? Hundreds of thousands of pages may have been devoted to the subject, but at its core is an instinct to enrich the lives of many people as possible. Originally the goal was life sustenance; distributing the basics for life in the form of food, water, shelter and health services. This is admirably moral, and this type of aid has mitigated its fair share of suffering and grief over the years. However, nobody would argue that meeting these needs guarantees a satisfied existence. In any case, Ghana is beyond that point, and Challenges Worldwide devotes itself to the next objectives in development; autonomy, mastery, purpose and acceptance. These terms aren’t used enough, even in development studies, so it’s worth examining each word. Autonomy is the sense of control over your own destiny. Mastery is the feeling that effort will allow you to improve your skills and ability. Purpose means being driven by an external goal. And acceptance is the feeling of being a valued part of a community. Just as the previous four were physical, these are very much psychological. All four are about information, motivation and connection, and Challenges can help with all four. It’s worth acknowledging how deeply small entrepeneurs’ sense of self and value is caught up in their businesses, as well as how much their financial livelihoods depend on it. With this in mind, Challenges’ capacity building helps existing businesses and entrepreneurs to realise their own personal goals, as well as illuminating new social and environmental goals. But I will focus for the remainder of the article the last goal – acceptance. Economic development and acceptance don’t have a great relationship. In 1956, just as Ghana’s independence timetable was agreed by the British government, many of their distant African-American cousins were living in deteriorating racially segregated housing in inner city enclaves. The Pruitt-Igoe estate in St Louis, completed by the US government in 1956 and blown up by the US government in 1972, is probably the most infamous example. The huge scale of the corridors created common spaces that no single individual felt responsible for, yet they were still narrow enough to force strangers together. Neither the state nor the 4,000 residents cleaned or maintained the building – after all, the tenants all rented their apartments from the state, with little to no say in their management. Poorly lit stairwells soon attracted crime. Broken windows and empty apartments followed. By 1971, the complex housed just 600 people. Evidently, nobody living in Pruitt-Igoe had reason to feel accepted into a community. It is a facile comparison, but nothing like that has ever existed in Ghana. It is worth noting that in the 1950s and 60s Ghanaians lived in a country that was financially 15 times poorer. What accounted for the disparity of outcome? Firstly, Ghana is one of the world’s most welcoming countries. After any amount of time here, that label doesn’t need to be explained. It is ingrained in Ghanaian ‘culture’. But friendliness runs much deeper. I would argue that it has been designed into the fabric of the city, just as St Louis designed it out. 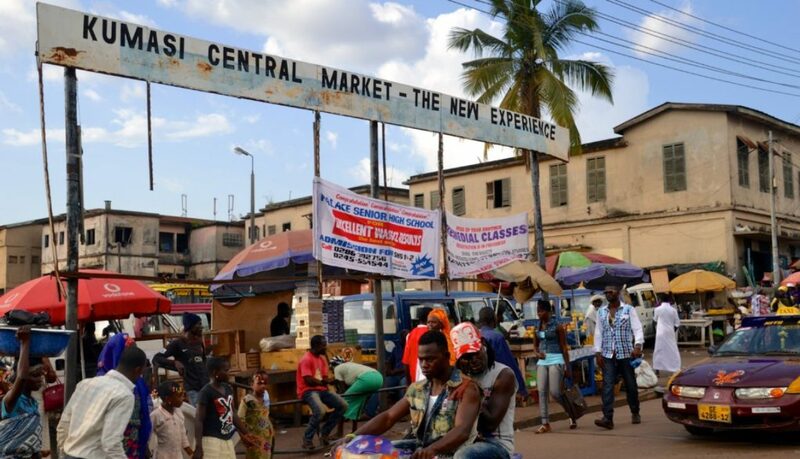 Ghana is a more communitarian society, which is reflected in the average bustling Ghana street scene. Small single-family plots dominate, separated by dusty alleyways lined with stalls. Courtyards adorned with hanging clothes provide more private, calmer spots shared between a few neighbours. This development is mixed-use. It is shared-space. High-density. Pedestrianised. Ironically these are buzzwords self-importantly thrown about by current urban theorists in the US as if they had just discovered the Fountain of Youth. Really, they’ve been sitting in plain sight in community patterns that have existed here since the era of villages. 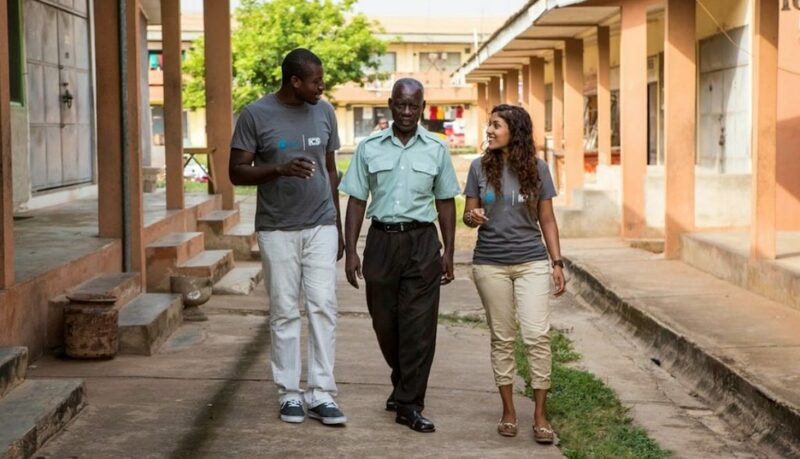 This is what Ghana is accomplishing – a replication of the village atmosphere on an urban scale. My favourite anecdote here is that Ghanaians walk at half the speed of Londoners. Well, after a few weeks here, I’m starting to approach the Ghanaian norm. The physical environment is slowing me down as much as cultural pressure. Uneven pavements, dubious looking water and irregularly shaped open spaces are all contributing factors. Sure, slower walking is less efficient, but the benefits must also be appreciated. As you slow down, you not only appreciate your surroundings, but interact more with people. And the village analogy is back. You may argue that Challenges and its SMEs (small to medium-sized enterprises) don’t have the power to affect the physical urban environment. You’d be wrong. SMEs are fundamental to the urban village model. They facilitate mixed-use development by allowing businesses to be operated from the home or the street, rather than after a long commute. Small retailers are important service destinations, preventing long journeys, and may provide comfortable neutral space for social interaction. The management aligns with the local area and has a stake in it, giving each community its distinct identity. The social responsibility element is also bound up with the concept of community, as businesses begin to add value in ways other than profit. In these physical surroundings, as they fulfil their autonomy, mastery and purpose, entrepreneurs served by Challenges can also help to maintain an accepting community as Ghana becomes wealthier. Massive interventions often end up like Pruitt-Igoe, but this is grassroots development. Perhaps this is what development means. On Saturday 25th November the environmental committee kick-started cycle 12’s series of impact events. 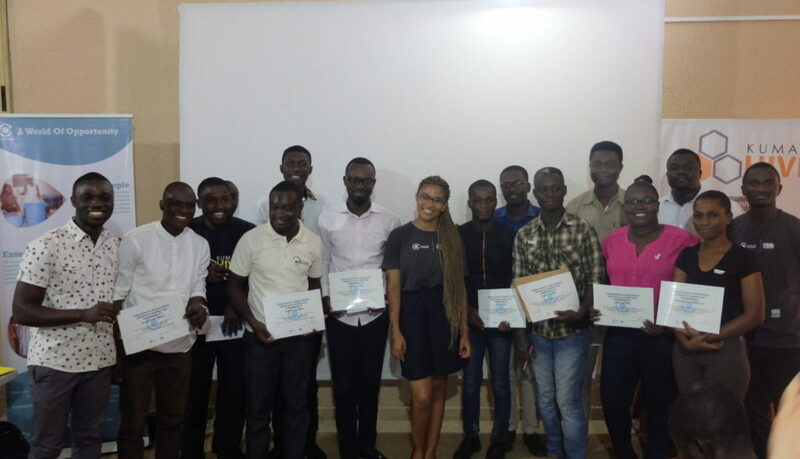 Titled Protect Our Planet, the event focused on illuminating a variety of environmental concerns here in Ghana, a topic that has long needed addressing. When turning to the statistics one is amazed at the dire environmental condition Ghana has found itself in. For example, of the 36,000 metric tons of plastic imported and manufactured in Ghana per year a measly 2% of it is recycled (in comparison to 63% and 62% in Austria and Germany respectively). A quick look at the streets of Accra will testify to these figures. This all came to a head in 2015 when a tragic flash flood triggered by a rubbish-filled drainage system resulted in the loss of 159 lives. 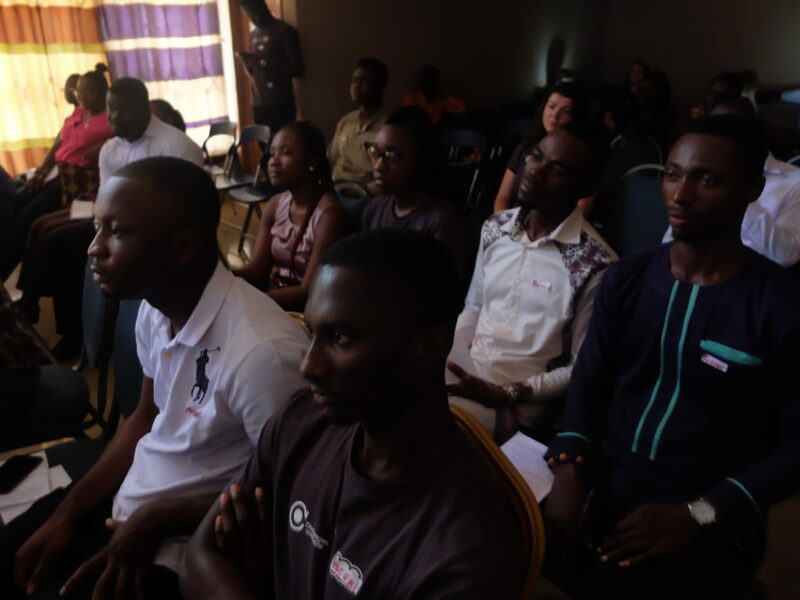 Confronted with bleak figures such as this one cannot help but ask themselves “how do we even begin to tackle such an endemic issue?” During the event, a host of Ghana’s bright minds gathered to present their solutions to this pressing matter. Whilst we have started on a rather morbid note it must be stressed the event was a positive success, emphasizing a message of hope rather than despair as is often the case when discussing the environment. One of the many shining stars at this event was Chineyenwa, an aspiring environmentalist who tackles the growing rubbish problem through the production of artistic works. 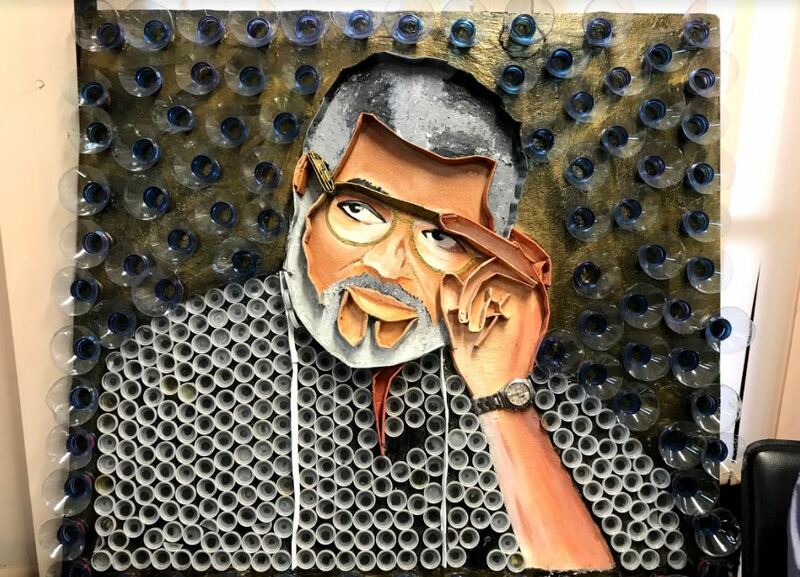 Made of recycled waste these works illustrate a combination of her two passions: environmentalism and art. Yet, her efforts do not stop there. Taking the fight to environmental threats further she has been instrumental in establishing a Pan African waste management symposium and works with children aged 8-18 to educate them further on the problems facing the environment. From Chineyenwa we can learn that in order to impact environmental change we must act both at the higher and lower levels of society. After all, this is our planet to protect so why shouldn’t every individual be involved? After speakers such as Chineyenwa, Richard Frimpong and Lovan Owusu-Takyi paved the way with a series of fascinating speeches. Speeches that not only highlighted the growing environmental concerns but went a step further to illustrate a number of solutions. It was time for a quick recess. Here a few businesses working on the Challenges’ programme put on an excellent spread of food. Special mention must go to Caris Gold who quenched everyone’s thirst with a delicious array of fruit juices. However, I digress. With bellies filled and minds reinvigorated the event entered its final stage. The climax of this was a truly thought-provoking speech from keynote speaker Gideon Commey, founder of the Ghana Youth Environmental Movement. Focusing on environmental consciousness, Commey conveyed the perfect level of concern and hope, concluding that the current environmental situation could be utilised to stimulate growth in employment and technology. The applause he received after his speech was not only indicative of his own personal success but the success of the event the environmental impact committee strove so hard to bring together. Not only was the event praised by external parties but internally as well. One of the invaluable coordinators of this event Ciara Farren described the day as an “overwhelming success”. Expressing particular thanks to the panel of speakers for their “inspiring and insightful talks” and to her team of fellow volunteers without whom the event would never have come together. On a personal note, I would like to thank the environmental committee for what can only be described as the perfect Saturday, which left environmental concerns in the forefront of my memory. In case that wasn’t tempting enough, breakfast was also provided with tasty pastries and refreshments available. Hosted at the Kumasi Hive which is a collaborative working space offering access to tools, technology and business support to entrepreneurs in creating sustainable and viable enterprises. 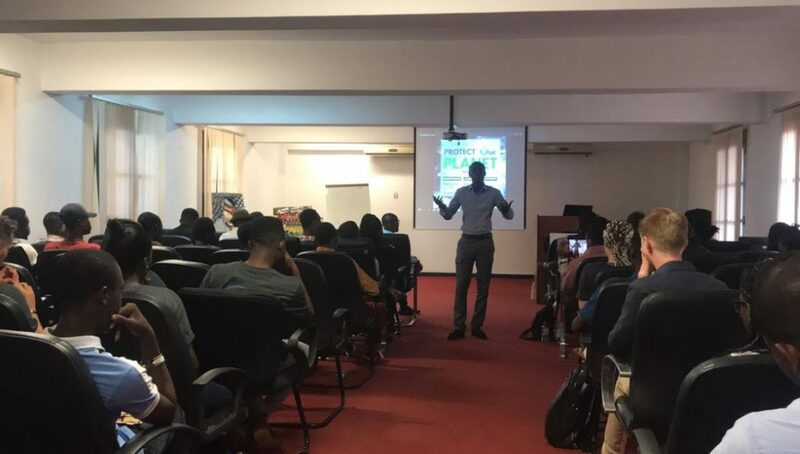 The Kumasi Hive was, therefore, a perfect venue for the event to support its mission in promoting knowledge and inspiring Kumasi’s entrepreneurial spirit! The Business Breakfast Seminar was not exclusive to business owners, as many people who were interested in setting up their own enterprises in future attended too. These aspiring entrepreneurs were keen to learn what would be important to consider when starting a business, which is no small feat and a decision that should be carefully thought through. The event kicked off with the first speaker Mr Bright Amoah Antwi, CEO of Ecocycle. 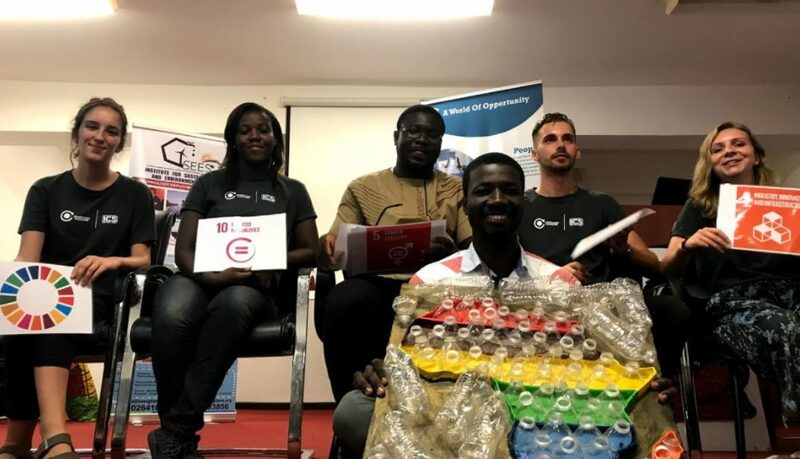 An environmentally conscious company operating in waste management, which is transforming the future of how Ghana will manage waste and for the better. Bright provided insight in how to develop a business idea. Businesses are formed with philosophical ideas and he urged the audience to love what they do in order to be great entrepreneurs. He talked about the need to do thorough market research, to get a holistic understanding of the target market as this knowledge can be leveraged to create a unique value proposition to bridge a gap in the market. One doesn’t need to have all the resources to start a business but must use their brain on how to utilize available resources to maximize profit. “Business nomenclature” or in other words, how a business is named was discussed as Bright explained in creating a unique name for his products helped promote a strong brand for his business. Thus, setting him apart from competitors in the waste management industry. In addition tips were given on knowing your customer (KYC) as a way to continue to deliver value to the target market as well as pushing to become a sole distributor if one’s business is to supply goods. Bright finished his talk by advising entrepreneurs to play smart if they were to thrive in the business world. We then had speaker Mr Evans Owusu Amankwah, an English teacher and founder of Midstream Literary Agency, an English language school in Kumasi, who spoke of key aspects in developing a good business plan. Asking yourself critical questions such as “What are the key activities, value proposition, venue streams?” are crucial to complete a business model canvas. A strategic management and lean startup template for developing new or existing business models. In the art of starting a business, one should have short and long term goals in writing and the entrepreneur must be focused on achieving these by finding a means to reach their targets in their business plan. Salient points made by Bright in his earlier presentation were reiterated here by Evans, in relation to business naming and choosing a name which would reach the wider audience. Mr Evans also stressed the importance in finding the right people to support the business in the beginning stages, “co-founders can be a great resource and expertise to move the business forward.” Wise words from someone who has been there and set up his own successful enterprise and understands the processes involved behind such an endeavour. Further to our three speakers we were lucky to hear from Luv FM’s sports broadcaster, journalist and multimedia marketing executive, Kofi Asare, on media marketing and the importance of user generated content being key in building a viable marketing strategy. He gave great tips on what entrepreneurs need to do to reach their target market, clarifying that radio adverts may not be right for everybody and entrepreneurs should leverage on social media to reach their target market as it is cheap and effective. Many business owners who attended were able to share their business knowledge with the rest of the group through the interactive sessions where a Q&A succeeded the presentations of our speakers, allowing an open platform for everyone to express their views and opinions. It brought up some interesting ideas which many could take away with them for consideration when developing their own unique business model. In addition, the event also allowed a fantastic opportunity for our local entrepreneurs to network, in fact many already knew each other! You never know the chances of meeting someone who might be able to share valuable words of wisdom, experience, or even potential partnerships that could help you achieve the vision for your business. For these reasons, networking is so important and was actively encouraged during the event. 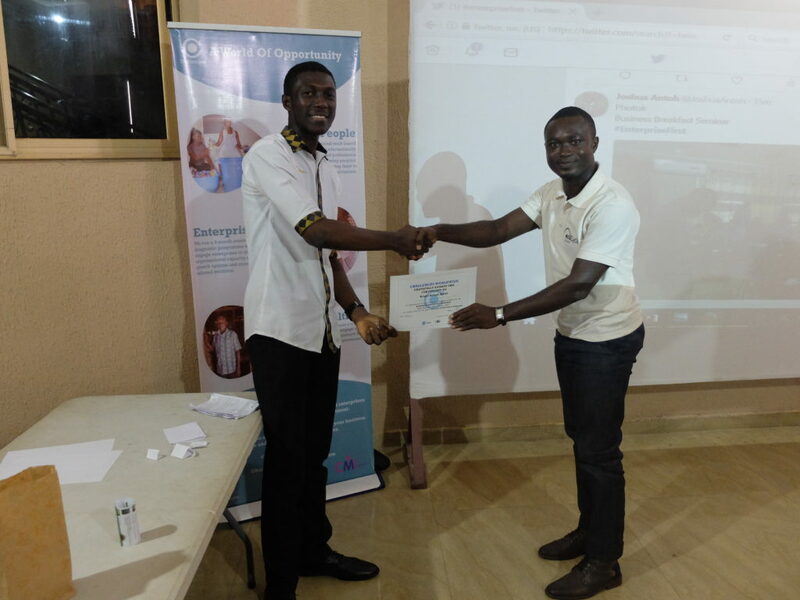 Finally, the impact committee had organised some exciting prizes which included a free financial consulting session with one of our speakers, Benjamin, plus a marketing consultancy session with Kofi Asare from Luv FM. Providing these valuable prizes to two lucky attendees ended the event on a high. Many liked-minded people having made new contacts, shared their interesting ideas and experiences enabled everyone to take away having learnt something from the morning. Overall a very successful and productive Business Breakfast Seminar and a great achievement from all the hard work invested by the Challenges team, well done to Kumasi’s team impact! 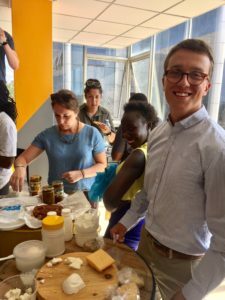 Since March 2017 a team of 18 volunteers from the UK and Rwanda have been working to promote the sustainable development of small to medium enterprises across Kigali, Rwanda. 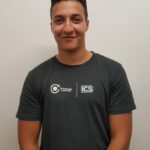 Challenges Worldwide International Citizen Service (ICS) volunteers work as Business Support Associates and are given business consultancy training throughout the programme. Challenges are helping to improve key areas in the businesses, building a growth platform for socially-conscious enterprises. 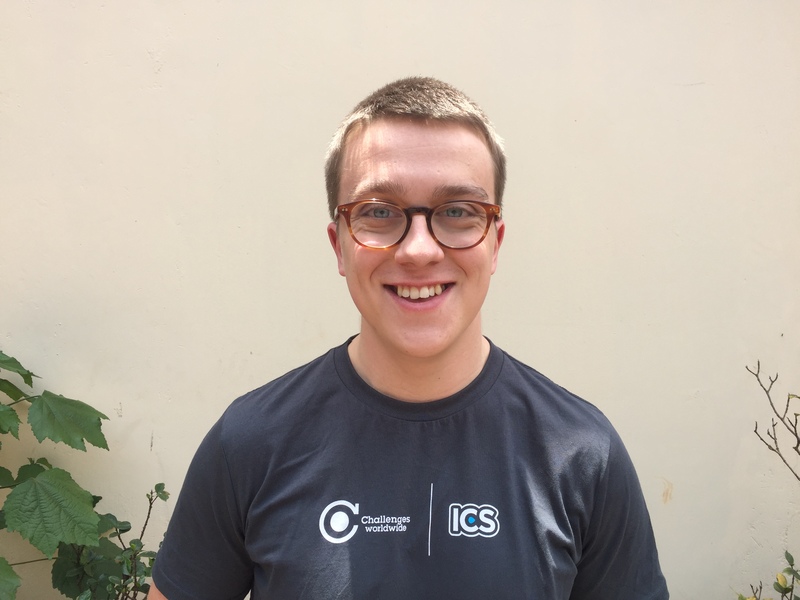 Challenges Worldwide is a UK private sector development organisation and its ICS programme has been running since 2013 in Ghana, Zambia and Uganda. 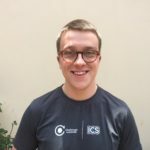 In 2017, Challenges Worldwide expanded its programme to Rwanda to help SMEs to grow through the ICS scheme, which pairs young people from the UK and Rwanda and places them in a Kigali-based business. 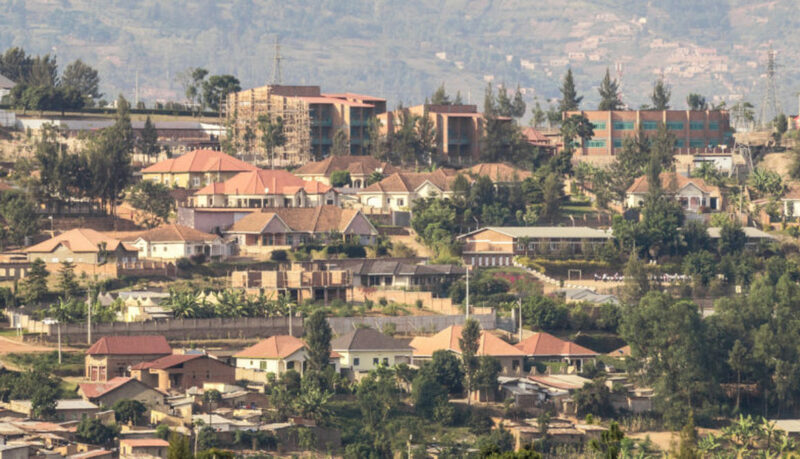 Through this expansion into Rwanda Challenges Worldwide aims to increase its economic and social impact within the east African region. 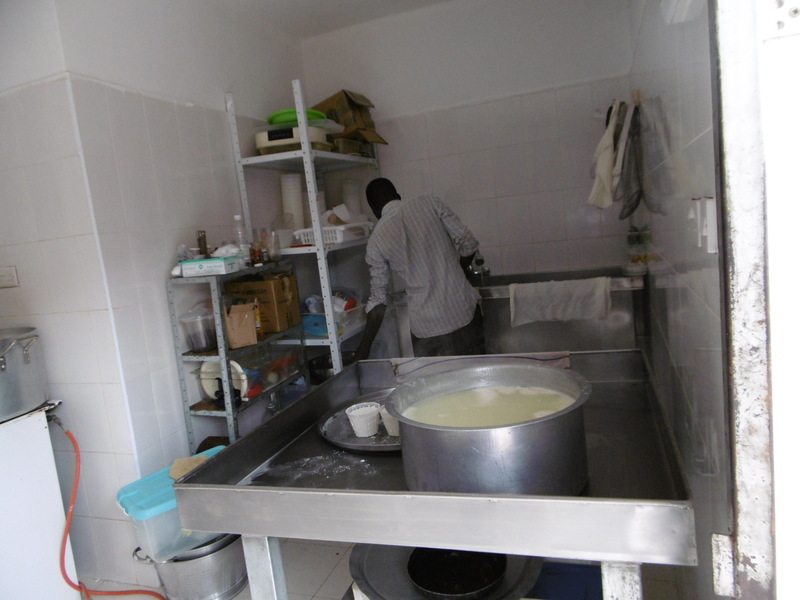 Challenges have already been running their programme helping SMEs in Uganda since 2013. While Challenges helps with on-site support, the organisation also aims to facilitate investment into the businesses it works with. One of the key barriers to growth for small businesses in East Africa is access to finance, so Challenges is working alongside the Business Development Fund to promote investment in some of Kigali’s most exciting small businesses. Apart from the work they do with the businesses, Challenges volunteers also organise extra-curricular community activities. One such event is an upcoming project planned in collaboration with local NGO Root Foundation, where they will be organising a job skills day with a focus on entrepreneurship and personal development. 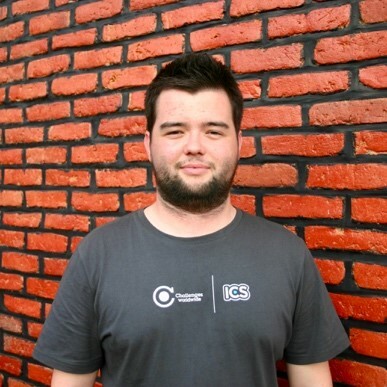 The Challenges Worldwide ICS programme is a great opportunity for volunteers from the UK and Rwanda and Rwandan based SMEs. By working with enterprises that have a positive social impact, Challenges aims to create a global network of businesses that can disrupt and add value, with the eventual aim of granting everyone access to quality income opportunities. Challenges are looking forward to working with the public and private sectors in Rwanda to achieve the UN’s Sustainable Development Goals and contributing to the bright future of Rwanda’s businesses. Earth Day 2017: Areg Agro Foods – delicious mozzarella which doesn’t hurt the planet. April 22nd, 1970 marked the first celebration of Earth Day. With its roots in New York, at a time when pollution was considered a by-product of prosperity, Earth Day saw the birth of the modern environmental movement. Groups opposing pesticides, destruction of the environment, oil spills, raw sewage and power plants all came together and realised their common values; environmental protection. The result was coast to coast protests; 20 million Americans came out into the streets in favour of environmental reform. 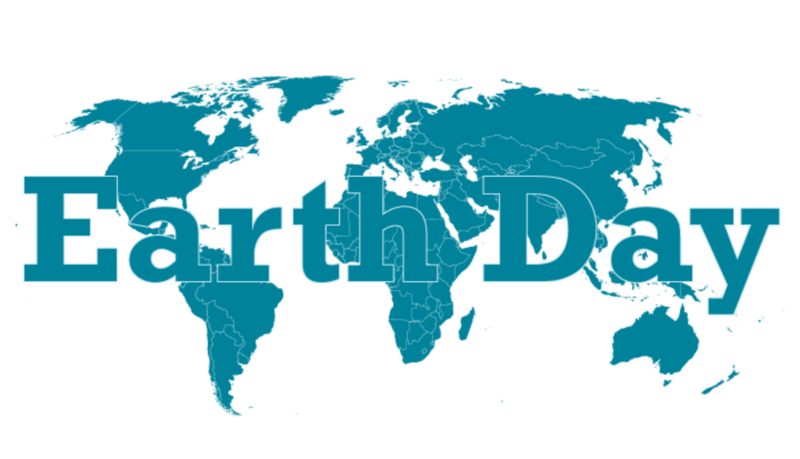 Since its dawn almost 40 years ago, Earth Day has become the world’s largest civic holiday, spreading to 193 countries and putting the issue of environmental protection into the minds of millions across the world. Whilst on my Challenges Worldwide placement, I am working as a business support associate with Areg Agro Foods, a small food producer located in Kampala. The owner and CEO, Rachael Corda, has a background in organic farming and is passionate about incorporating environmental considerations into the day to day workings of her business. Rachael knows the value of using organic techniques to grow crops. The result is high-quality natural foods which do not cause any of the environmental problems of pesticides, for example, soil contamination and the death of wildlife. Since the birth of her business, Rachael has taught farmers how to grow their crops organically and has converted many farmers to the organic lifestyle. Areg Agro only uses high-quality organic crops and milk to produce their many varieties of Italian cheese and fruit preserves. However, Rachael is also careful about the environmental impact of her business’s waste products. This has led her to reduce waste by ensuring that by-products of cheese production are sold at a rock-bottom price to local farmers and used as animal feed or fertilisers. 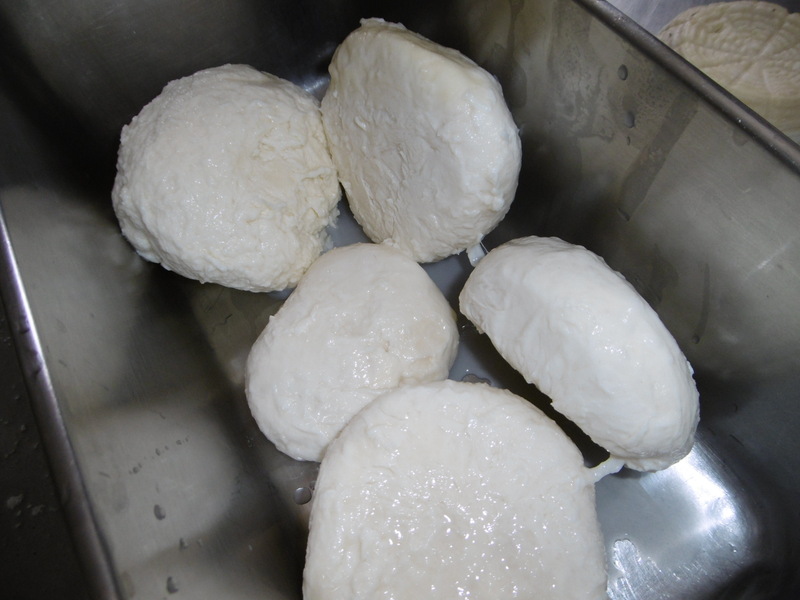 The result: delicious mozzarella which doesn’t hurt the planet. In 2016 the WHO published a report which stated that air pollution levels in Kampala and Jinja were 5.3x higher than recommended safe levels. The burning of rubbish was stated as a significant contributing factor to this figure. Luckily, another business that volunteers on our cycle are working with, Bio-electricity has the answer. Established in 2008 in Kyengera by Wilson Ssendagaya, Bio-electricity has an innovative approach to waste disposal. Waste is sorted through and split into categories; natural waste such as food products are turned into an organic fertiliser over a process of two months. This reduces air pollution and also ensures that waste serves another purpose. Ssendagaya also has big plans for the future, currently, plastic waste is shredded and stored with the intention to convert it into diesel using technology imported from the United States. This would not just solve the issue of waste disposal but would go some way into the move towards renewable energies, not just in Uganda but globally.